Pond Cleanouts VISIT OUR SHOWROOM! 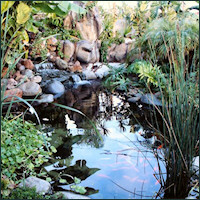 We offer full service pond cleanouts that serves customers all over Southern California. Our main areas of service are detailed below. This service is a bit more involved and will require a few hours to complete. If your pond is at least a year old it is recommended to get a pond cleanout.